Liverpool face Watford at Vicarage Road on Saturday afternoon and Jurgen Klopp will reportedly have captain Jordan Henderson back available after injury. The 28-year-old has struggled with his fitness so far this season which has been reflected in his inability to establish himself as a regular in the starting line-up, particularly after returning from the World Cup with an issue. Having missed the back-to-back Champions League games with Red Star Belgrade as well as clashes with Cardiff City and Arsenal in the Premier League in recent weeks, Henderson is now set to return. According to Sky Sports, he had been struggling with a hamstring issue, but having returned to training with his Liverpool teammates this week, he is expected to feature against Watford. 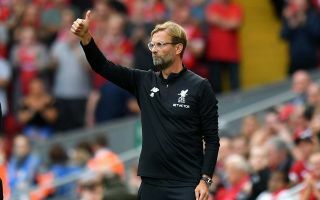 That will be a boost for Klopp, particularly with one eye on the crunch showdown with Paris Saint-Germain next week too, as it will either give him an opportunity to rest others or start the England international against the French giants too if he gets through this weekend unscathed and impresses. The Merseyside giants currently sit in second place in the Premier League standings, just two points adrift of leaders and reigning champions Manchester City. With Pep Guardiola’s side taking on West Ham United on Saturday, it could be crucial for Klopp and his side to keep up the pressure with a win in response and Henderson could be available to help them do that.